I think most of us love eating pasta, especially since it makes a super quick lunch or dinner! Here are 3 of homemade pasta sauces that are also healthy for you to try. Heat the oil in a large saucepan over medium heat. Add the onion and garlic and cook for 3-4 minutes until softened, stirring often. Add the tomato paste and oregano and cook for 1-2 minutes, stirring constantly. Add the diced tomatoes, reduce the heat to medium-low and simmer for 8-10 minutes, until thickened, stirring occasionally. Season with salt and pepper, if desired. Remove from the heat and stir through the fresh basil and parsley and adjust the seasoning if needed. Transfer the sauce, in batches, to a food processor or blender and process for the desired consistency. For a chunkier sauce, puree some of the sauce mixture and mix it back through the sauce. For a smooth sauce, puree it all. Enjoy! 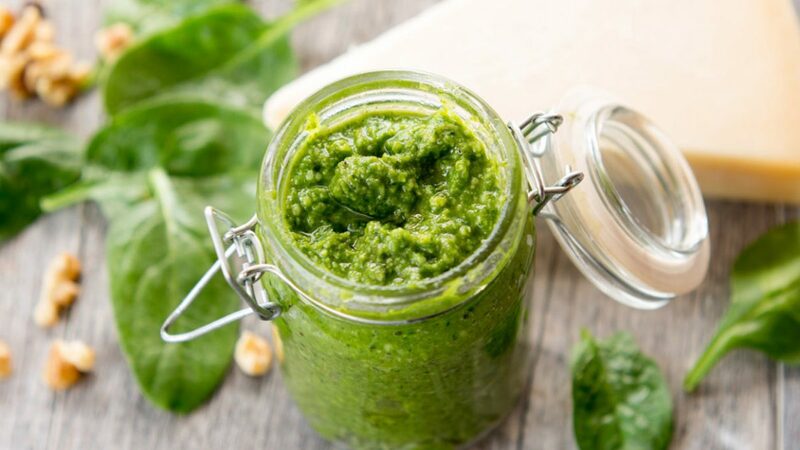 Place the basil leaves, cashew nuts, garlic, lemon juice and parmesan cheese in a food processor and process until coarsely chopped. With the food processor still running, slowly add the olive oil and process until fully combined and smooth. Season with salt and pepper, if desired. Enjoy! Heat the olive oil in a medium saucepan over medium-low heat. Add the garlic and cook for 1-2 minutes until fragrant, stirring frequently. Add the flour and cook for 2 minutes, whisking constantly until smooth. Gradually whisk in the stock, milk, pepper and nutmeg. Increase the heat to medium and gently bring to the boil, stirring constantly. Reduce the heat to medium-low and simmer for 3-4 minutes, until the mixture thickens, gently stirring constantly. Add the parmesan cheese and cook for a further 1-2 minutes, stirring constantly. Sumaiya completed her Bachelor of Science degree in Dietetics at the University of KwaZulu Natal in Pietermaritzburg. Having always believed that “you are what you eat” and chose this career in nutrition and dietetics to educate, inspire and encourage people to make the right food choices. As the great Hippocrates once said, “Let food be thy medicine and let medicine be thy food”. Disclaimer: The views and opinions expressed on this blog are entirely my own. This website is for informational purposes and please be aware that any information contained within this website should not be considered as medical diagnosis or treatment and should not replace physical treatment with a medical professional.